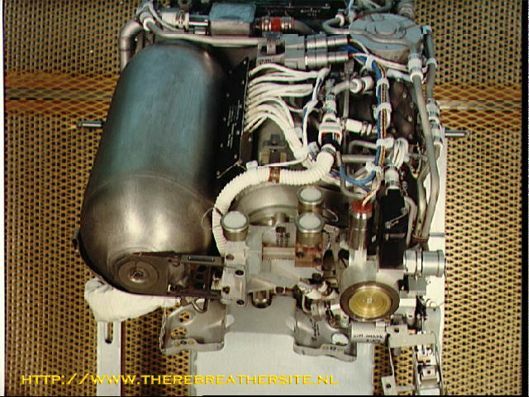 Update 14 September 2005, unique pictures of astronauts training with there rebreathers! I will never forget these guys setting the first footsteps on the moon. It was a very impressive performance. 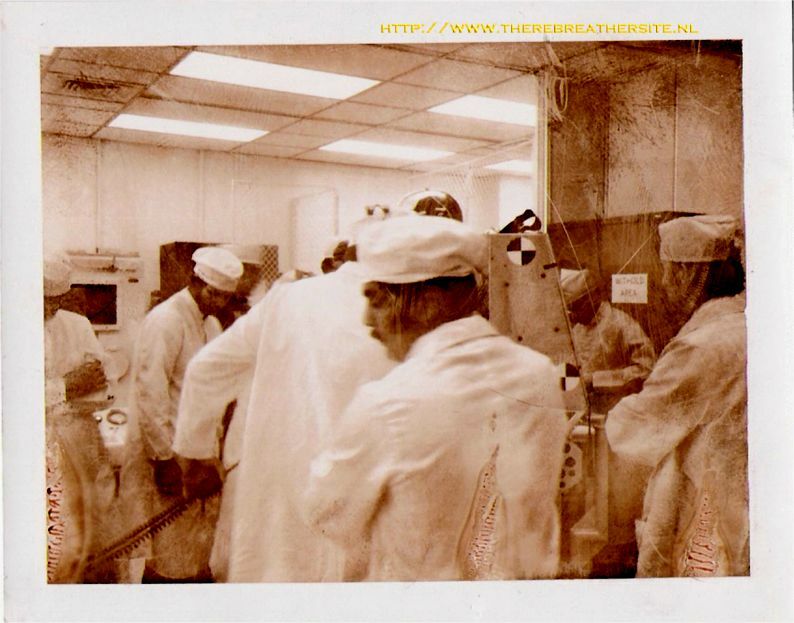 Many years later when I started to get interested in rebreathers I realised that enormous technique had to be involved to get these astronauts there. Now with the appreciated help of Mr. K. Culotta I managed to get pictures of this equipment. 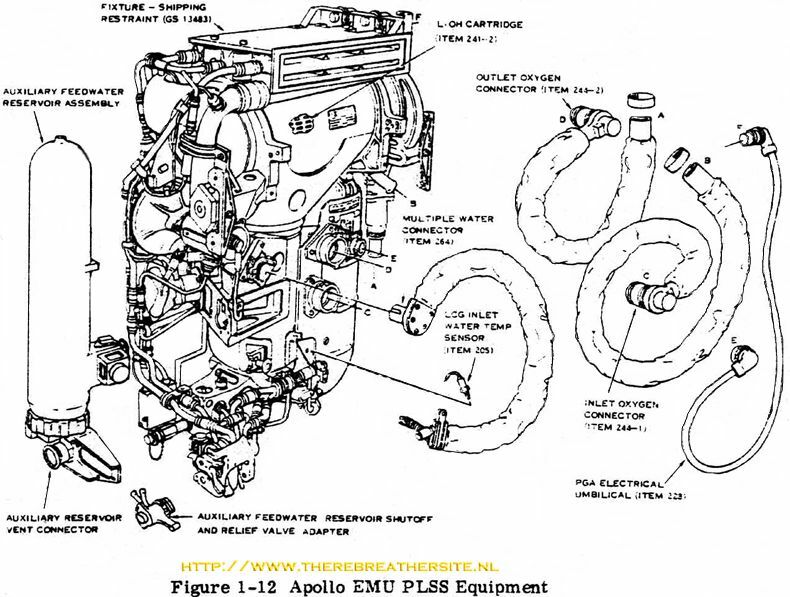 The Portable Life Support System (PLSS) for the Apollo A7L Space suits was built by a division of United Aircraft Corporation called Hamilton Standard (now Hamilton Sundstrand). 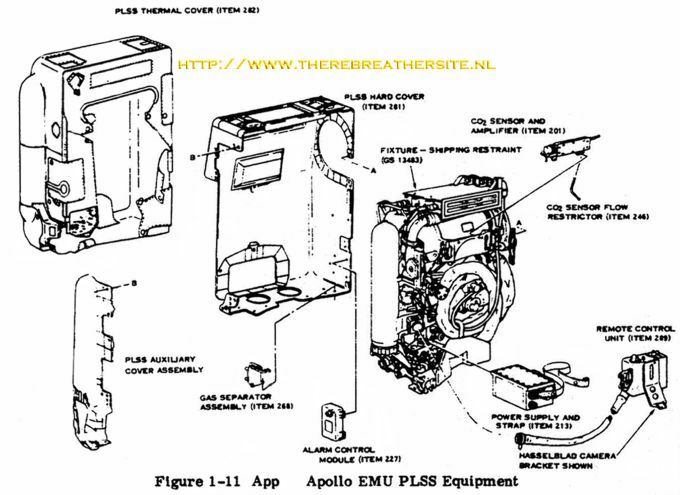 There are related patents issued to United Aircraft which have relation. 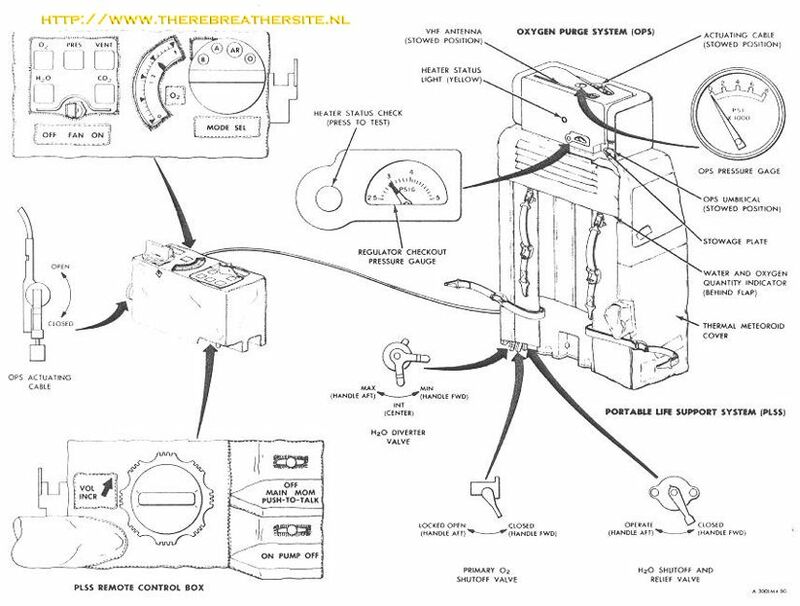 They are patent numbers 3,170,303; 3,289,748; 3,343,536; and 3,345,641. 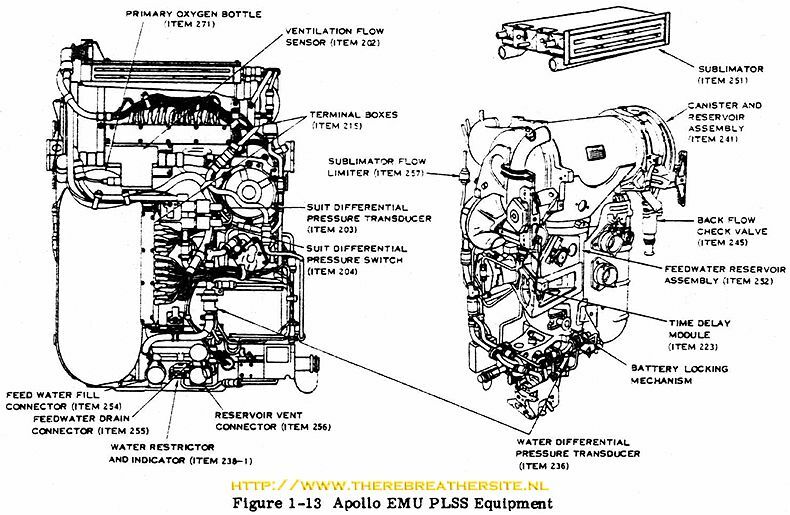 On the website of Hamilton you will find a huge information source of these space systems. 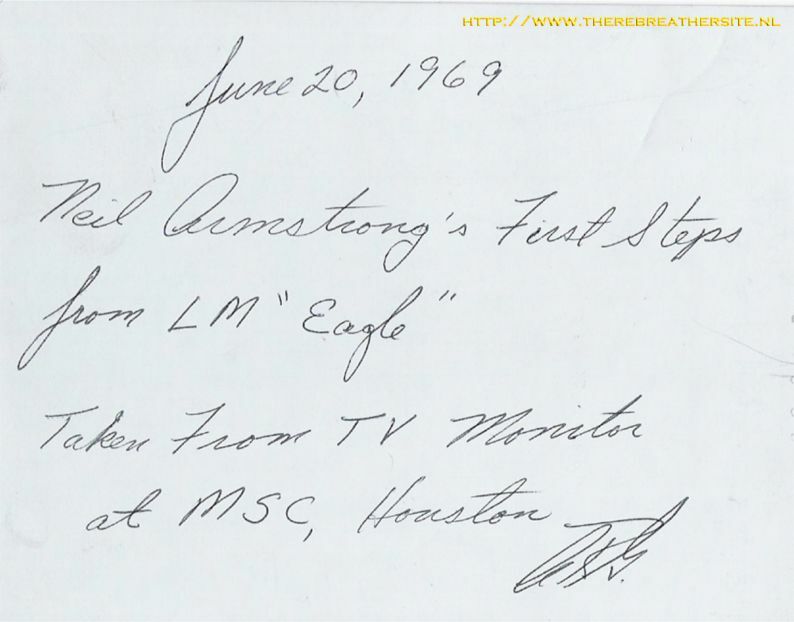 A special thanks to Mr. Ken Culotta for searching and finding this information! 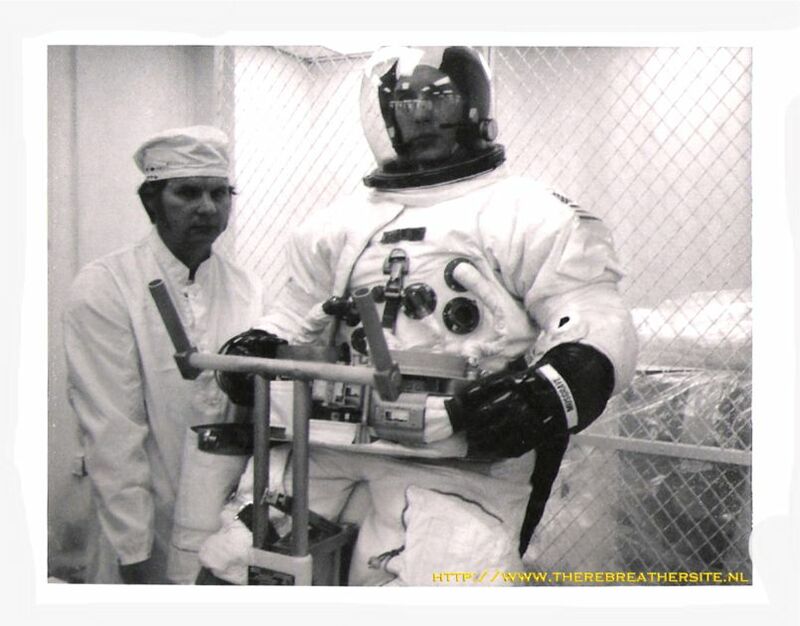 Provides breathing oxygen and controls the pressure of the crewmember’s suit. 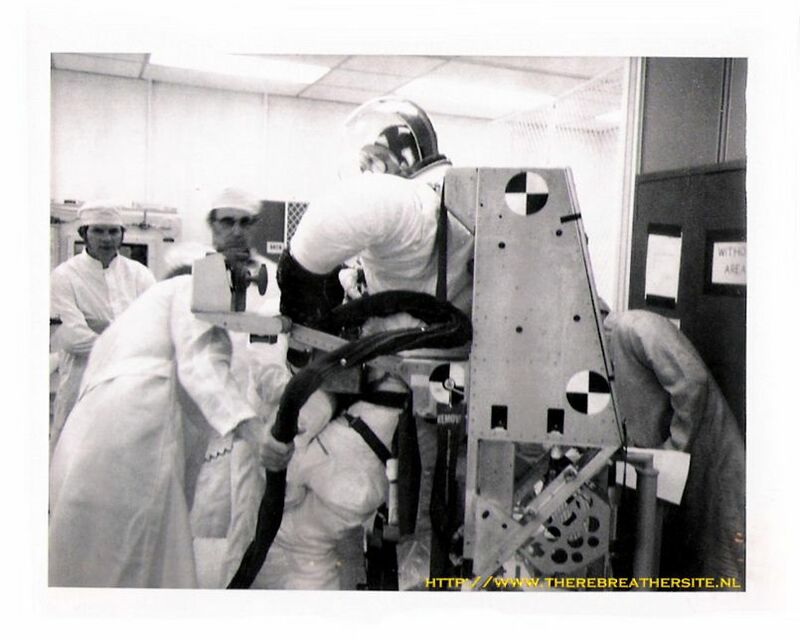 Provides thermal control by cooling and recirculating both the oxygen in the suit and the water in the Liquid Cooling Ventilation Garment (LCVG). 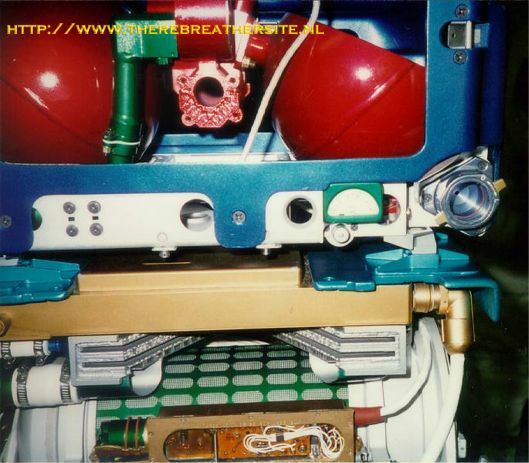 Removes humidity, odours, carbon dioxide and other contaminants from the recirculating oxygen. 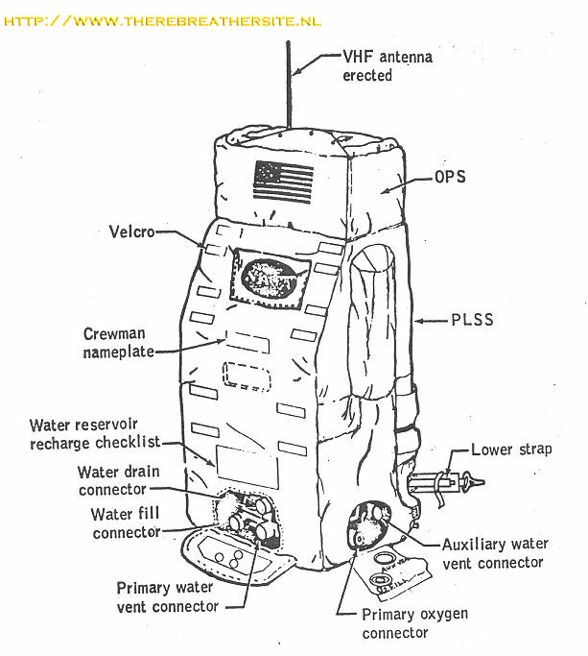 Provides communications for the suited crewmembers. Provides sensing of important system parameters. 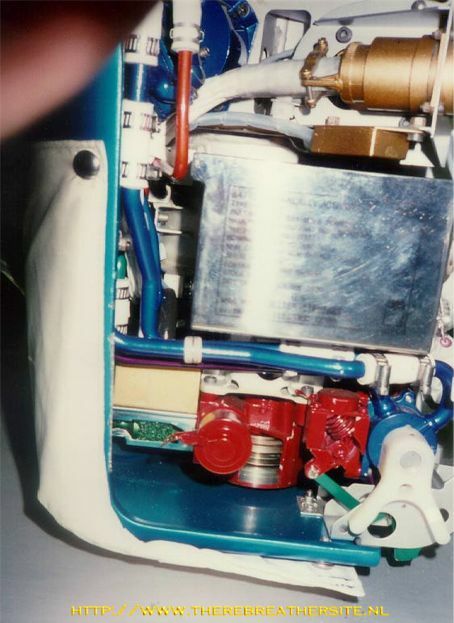 The PLSS includes oxygen bottles, water storage tanks, a sublimator, a fan/separator/pump/motor assembly, a contaminant control cartridge, various regulators, valves and sensors, communications and the microprocessor caution and warning system module. 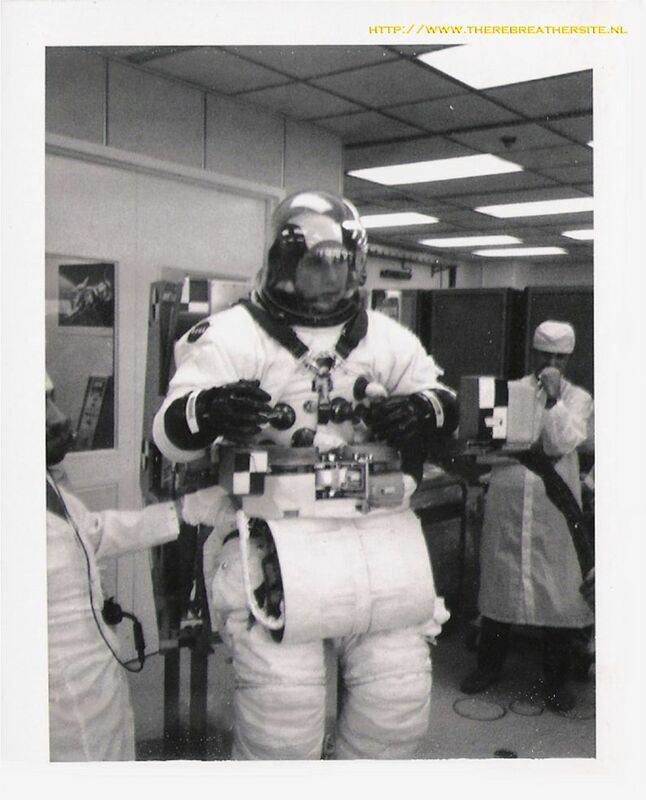 System ventilation airflow enters the suit from the PLSS at the helmet and flows from behind the head, over the face and down through the suit. 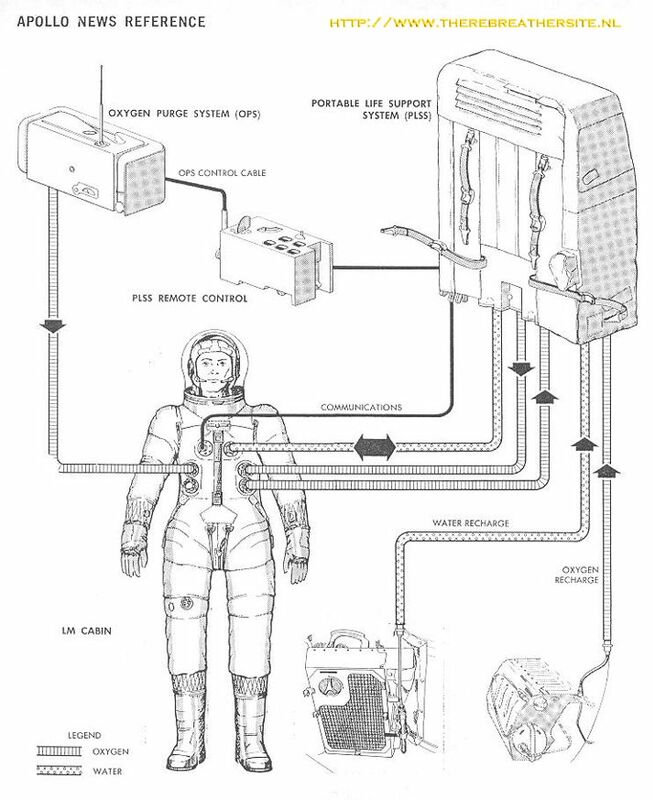 Oxygen, carbon dioxide and water vapour from breathing leave the suit through the liquid-cooling and ventilation garment near the astronaut's elbows and feet and return to the PLSS. The flow first goes through the PLSS contaminant-control cartridge, where activated charcoal and lithium hydroxide remove odours and carbon dioxide. 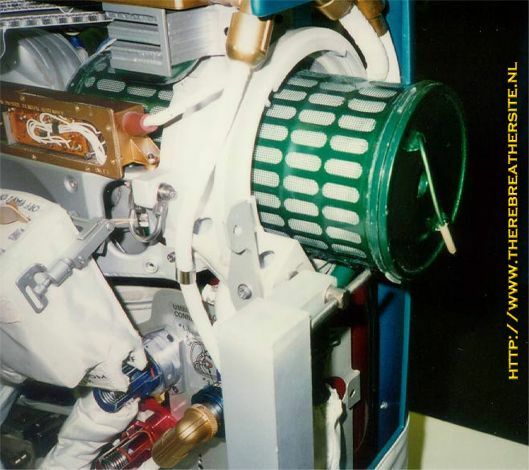 Next, it passes through a fan that maintains a flow of about six cubic feet per minute. 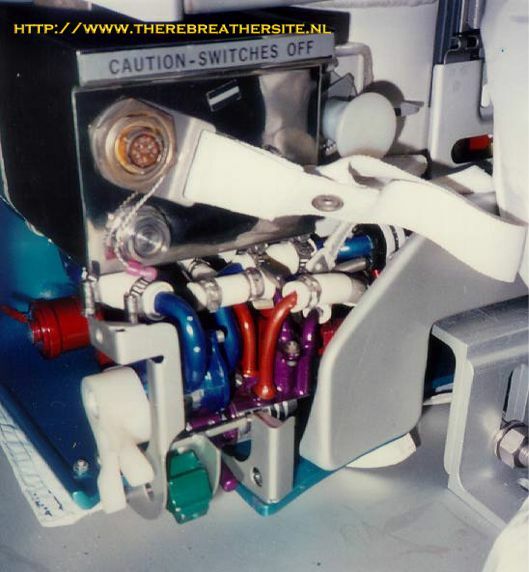 Gas flow is then routed to the sublimator, a cooling device which condenses water vapour and permits its removal by a slurper and by the rotary separator. 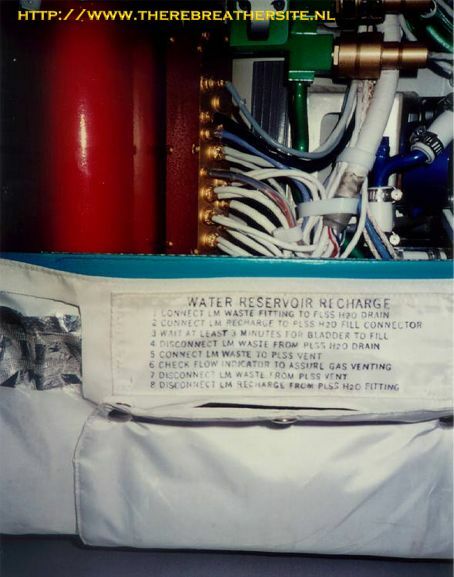 The water that is removed from the gas flow is pumped primarily into the PLSS water storage tanks for reuse in cooling the astronaut. 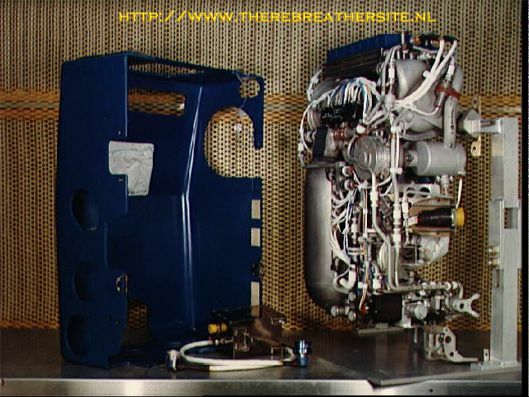 The sublimator also cools the ventilation flow to about 12° C. The oxygen then moves through a flow sensor and back to the suit inlet. 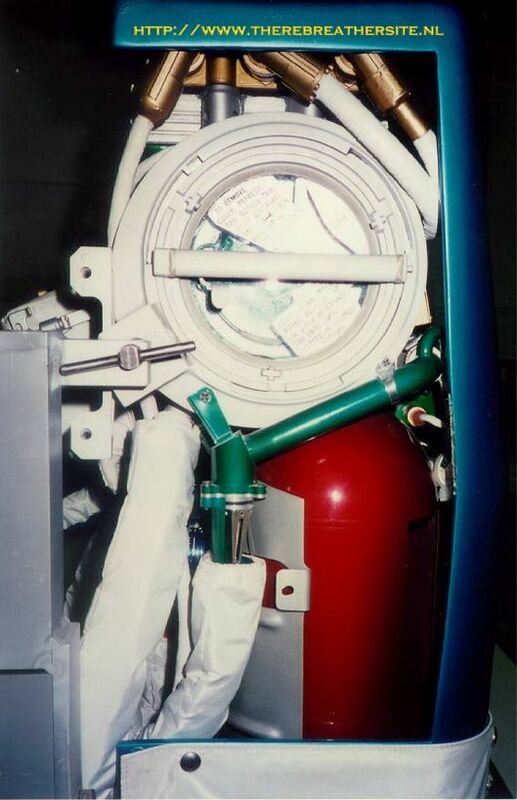 Oxygen is added, as needed, to the ventilation flow from the primary oxygen tanks, entering the ventilation loop downstream of the flow sensor. 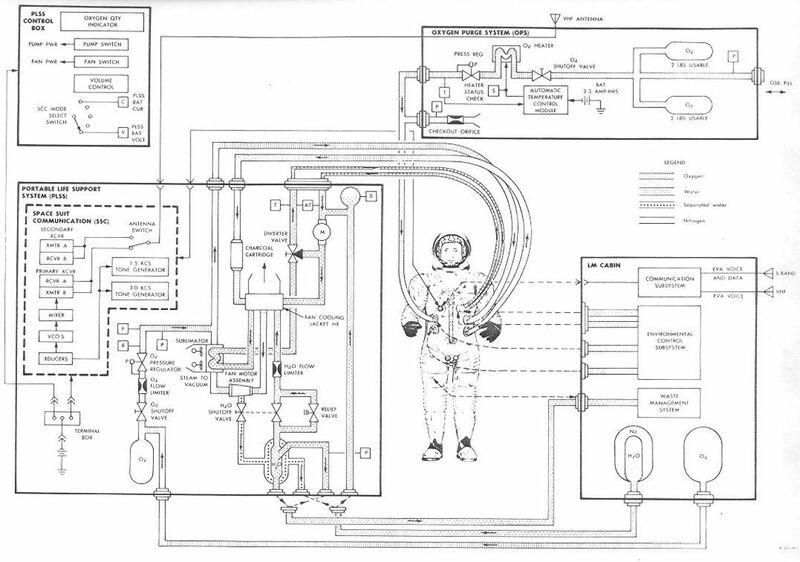 Suit pressure is maintained at approximately 0.7 psid (0,047 bar)(15 psid = 1 bar) above ambient pressure* in the intravehicular mode, and at 4.3 psid (0,29 bar)(15 psid = 1 bar)in the extravehicular mode. 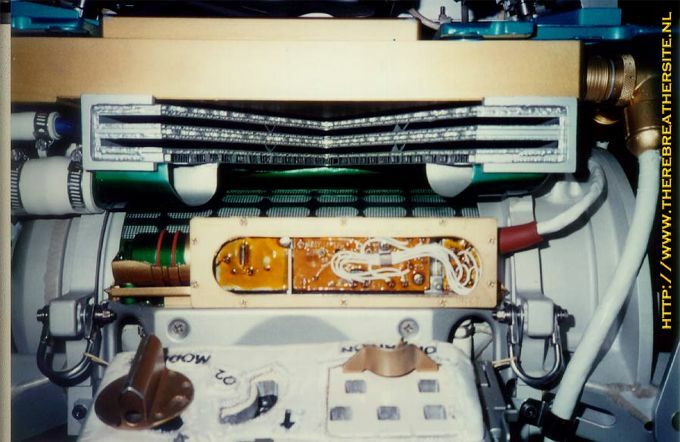 The astronaut selects the mode by manually operating an actuator located on the display and control module. I hope you have a fast internet connection, because these pictures are highly detailed! I hope you enjoyed this photo series. 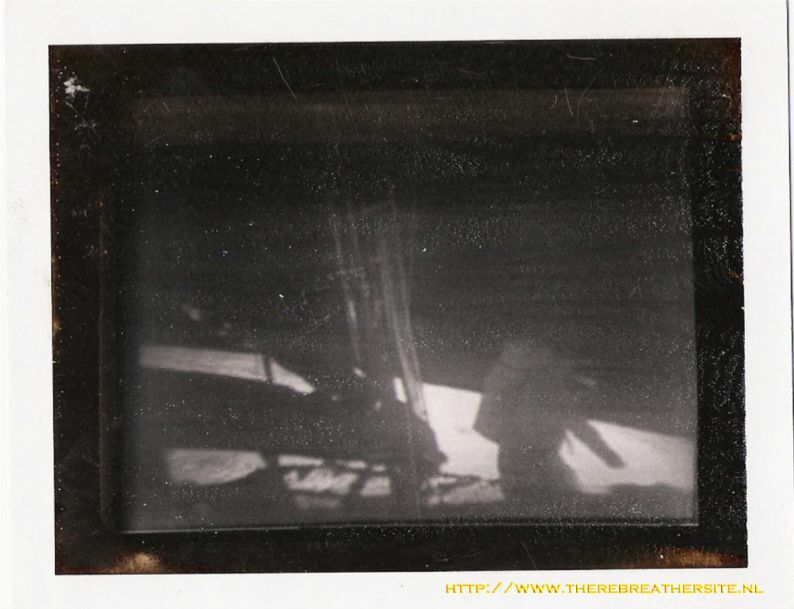 I am very pleased to be able to show you these spectacular pictures of the astronauts preparing there space trip. Sonya, thank you so much providing me with these unique pictures. Now they are shared worldwide. A treasure!